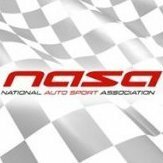 Latest news for the National Auto Sport Association. Join the discussion. Discussion for everything and anything contingency programs related. Ask questions, check what new programs are coming, and let us know if you have any issues claiming your prizes.